The longest, hardest, and most consistently working artist in the history of the Jamaican Music Industry is the Empress of Reggae music, the most Honorable Griffiths, OD, first Lady of Songs, Female Vocalist Supreme. Marcia Griffiths has been performing and recording as a top class artist for four decade. It was while recording at Studio One that Marcia teamed up with Bob Andy on ‘Really Together,” the first of many duets that the two would record. “Luckily for me, Bob Andy was always a strong and wise person”, says Marcia. “He was there for me in the early days and that gave me confidence”. Then the pair moved to the Harry J Label, hitting the British, as well as the International charts with “Young Gifted and Black” and “The Pied Piper,” recording two albums of the same titles. Ten years after entering the music business, Marcia united with Judy Mowatt and Rita Marley to form the I-Threes as an important part of the Bob Marley entourage. “Words are not enough to express my experience with the I-Threes and Bob Marley and the Wailers”, says Marcia. “What a blessing to be so privileged…..to have shared this experience”. Currently Marcia is one of the leading female artists on the Reggae scene. Shocking out with the electric boogie, doing the electric slide. Marcia Llyneth Griffiths was born on November 23, 1949 to Joseph and Beatrice Griffiths. The family hailed from a poor section of West Kingston, but as bad as things were, Marcia considered those days glorious, because there was always one thing in abundance – one thing that made them the wealthiest family in the world – one thing that no one could take from them… Love. Philip “Boasie” James lead singer of the Blues Busters vocal duo was visiting his girlfriend. He lived next door to Marcia, and heard this lovely voice floating through the air. He could not believe his ears. He subsequently took Marcia straight away to Byron Lee. He then insisted that this song-bird be included on the upcoming talent show to be held at the Carib Theater in Kingston. Marcia remembers that Byron was upset with “Boasie” for coming to interrupt his well planned program schedule. Insisting that this “nobody” go on his show. Marcia remembers she performed a Carla Thomas original,“No Time To Lose” to phenomenal response from the audience. They demanded an encore, but to no avail, as she had only rehearsed one song with the band. As much as she wanted to, she could not do any more performances that day. The attention Marcia received after this auspicious debut was overwhelming. Everyone wanted to manage her, including Byron Lee’s manager Ronnie Nasralla. That same night he took her to the studios of JBC where Marcia made her first television debut. All in one day were the ingredients of an overnight success story which no one realized was about to happen. The rest is history, for the girl who became first the queen, the matriarch of Reggae Music. Marcia L. Griffiths OD., a great contributor to Reggae Music, is most fitting for the royal, prestigious, and respectful title of Reggae Empress. In between studio sessions, Marcia has been on the road. In the past two years she has enjoyed a successful tour of the USA with Beres Hammond and Freddie Mcgregor. Traveling to England with Beres Hammond they performed an extensive tour with the same overwhelming results. Forward on a yard, Marcia shared the stage with Boyz II Men at the massive Spring Break concert for MTV in Negril Jamaica. Returning to the US, she performed in Orlando, Florida, (Disney World) Universal Studio, at the opening of the Bob Marley Museum. Sharing the bill were the I-Threes, Ziggy Marley and Inner Circle. Moving on up to New York, Marcia displayed two memorable shows with Beres Hammond and Buju Banton at Carnegie Hall and Madison Square Garden. Going further north Marcia worked in Toronto and Montreal with John Holt and Ken Boothe. Again in the USA with Bob Andy as the Legendary duo, they performed at the Bob Marley Day Celebration in Los Angeles, before heading down south to perform at the historic Reggae meets Rocksteady showcase in Miami. Next Marcia toured with the legendary Wailers Band. Then the I-Threes were off for shows in Italy, Europe and South Africa. Returning to Jamaica, the I-Threes shared the stage for two shows with R&B legends Gladys Knight and Patti LaBelle. 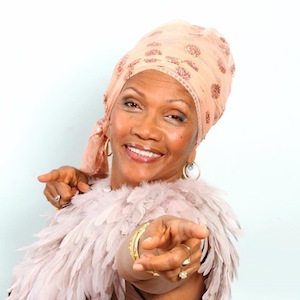 In November 2002, along with John Holt, Ken Boothe and Mikey Spice, Marcia produced an historical performance with the Royal Philharmonic Concert Orchestra at the Wembley Arena, Birmingham and Aston Vill Leisure Centre, Middlesex. Since then Marcia has performed in New York, Toronto, Atlanta, Miami and Jamaica.